The tax-reform bill approved by the U.S. House of Representatives would eliminate a financing tool used to build much of the country’s affordable housing. Congress should abandon the idea. Add affordable housing programs to a list of things House Republicans targeted to make way for deep corporate tax cuts. The tax plan the U.S. House of Representatives approved Thursday would eliminate private activity bonds, a financing tool used to build much of the country’s affordable housing. Over the past 30 years, the tax-exempt bonds have helped build nearly 55,000 affordable apartments for working families in Washington state, with about 24,000 of those in King County. Getting rid of these tax-exempt bonds would prevent more than 1,100 affordable apartments from breaking ground in King County next year, and cancel another 1,000 affordable housing units elsewhere in Washington, according to the Washington State Housing Finance Commission. 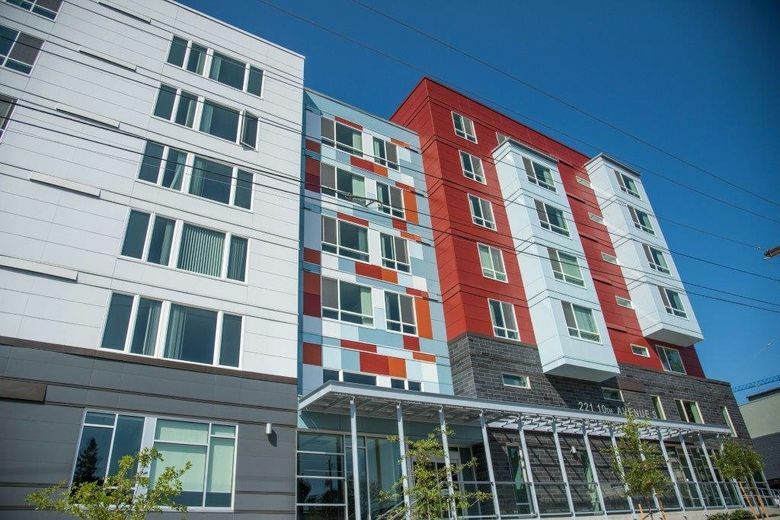 The bonds have been essential in developing local affordable-housing projects such as The Village at Overlake Station in Redmond and the redevelopment of Yesler Terrace in Seattle. Congress should ditch the idea of getting rid of private activity bonds and instead adopt the Senate’s approach of leaving the tax-exempt bonds alone. Senators should also consider adopting a proposal from Sen. Maria Cantwell, D-Washington, and Orrin Hatch, R-Utah, to expand low-income housing tax credits. There could not be a worse time to jettison a tool that spurs private investment in affordable housing. Local communities are in the grips of a serious housing affordability crisis. In Seattle, city officials say the average rent for a one-bedroom apartment has shot up 35 percent in the past five years, coming in at about $1,650 a month earlier this year. Meanwhile, more than 45,000 Seattle households — about 1 in 7 — now spend more than half their income on housing costs, a condition city officials refer to as “severe cost burden.” Experts generally advise that people should spend no more than one-third of their income on rent to leave enough money to cover other expenses such as health insurance, groceries and transportation. Because private activity bonds are the only way developers can access a 4 percent tax credit for affordable-housing projects, getting rid of the bonds erodes the popular tax-credit program as well. To qualify for the tax credit, builders have to commit to renting to people who make below 60 percent of the area median income — a crucial lifeline for families struggling to make ends meet. In King County, that income level equates to $40,320 for one person, or $57,600 for a family of four. Eliminating the bonds would save the federal government about $39 billion over the next 10 years. That’s nothing compared to the $1.5 trillion loss created by permanently cutting the corporate tax rate from 35 percent to 20 percent, as the House plan also proposes. In a time when rising rents are pushing many longtime residents out of their homes, Congress would be shortsighted and cruel to ax a program that provides much-needed relief.